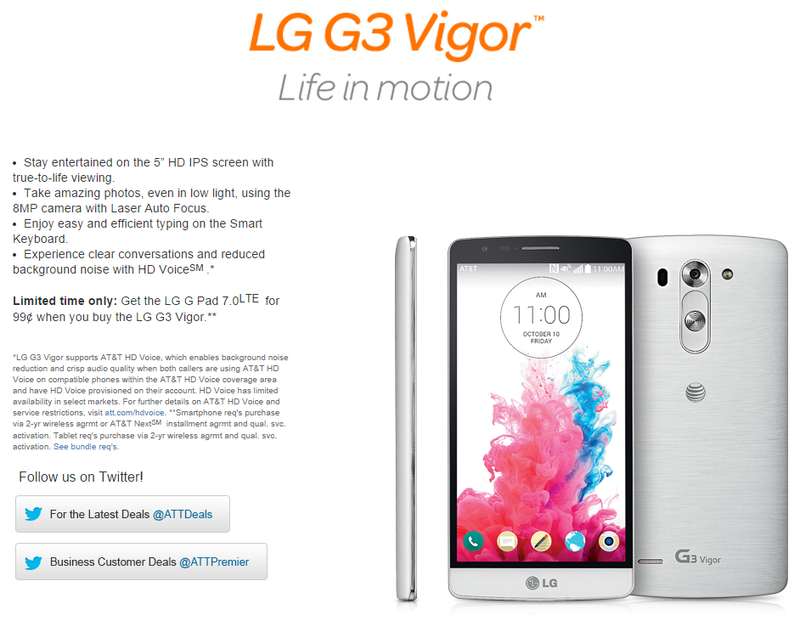 If you like LG's style but aren't ready to pay for a top-of-the-line smartphone, AT&T and Sprint would like a word. Both of them have announced carrier-customized models of the LG G3 Vigor, which was launched this summer in international markets as the G3 Beat. The 5-inch phone is decidedly mid-range (stretching to low end for some specs), but it's got the same look and layout as the full-sized G3, complete with rear-mounted buttons. At least they didn't call it "mini." The G3 Vigor uses a 1280x720 screen, an efficient Snapdragon 1.2Ghz quad-core processor, just 1GB of RAM, and a removable 2540mAh battery. The 8MP rear camera uses the laser autofocus system from the flagship G3, and the phone runs on LG's heavily-customized version of Android 4.4.2. Neither carrier said how much storage their model would have, but the unlocked G3 Beat uses 8GB plus a MicroSD card slot. 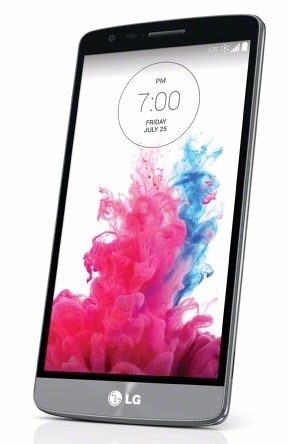 AT&T is showing off a white version of the G3 Vigor and promoting a deal that lets you add on an LTE version of the LG G Pad 7.0 for a dollar when you buy one... but the company doesn't say when that will be, or for how much. Sprint will start selling the G3 Vigor on Friday, September 19th, in burgundy red and metallic black color options. On Sprint the phone will cost $299.99 off-contract (or 24 payments of $12.50), so I wouldn't expect AT&T to stray too far from that figure.